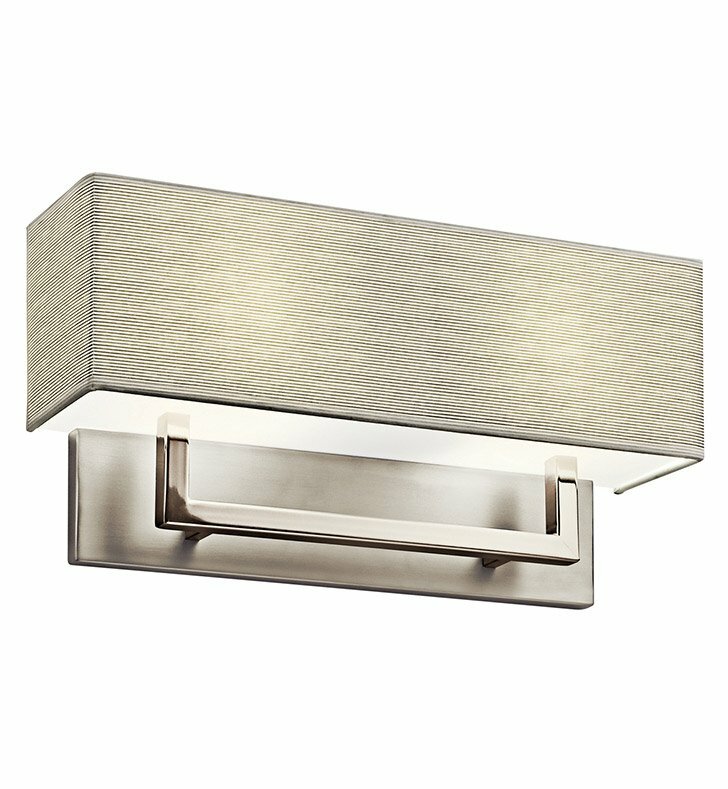 Questions about Kichler Lighting 10696SN? Classic design and textural details create this 2 light fluorescent wall sconce. Showcased with a Satin Nickel finish and Matte White Acrylic Glass diffuser accented with linen fabric, this versatile piece can complement a range of spaces in your home. Dimensions: H 8 1/2" x W 16 1/4"